The modern market works very fast and newcomers who don’t pay attention to important trends tend to get swept away by the currents before they’ve even had a chance to realize what was going on. Launching a product of any kind can be a challenging experience if you’re not adequately prepared for it, and even those who’ve already done it multiple times tend to get nervous the closer they move to the big day. The truth is, you can never guarantee that a product will end up successful – but there’s still a lot you can do to maximize your chances. Working on a product should be done with some clear expectations for how it’s going to perform once it’s released. You should leave nothing to chance, and never invest effort and resources into a project just based on a “hunch” that it’s going to be successful. Considering how many tools you have available to study the market in depth and make an informed decision nowadays, you have absolutely no excuse for launching a product that doesn’t fill a specific, necessary niche. It’s okay to experiment with crazy ideas when you don’t invest too much in them, but your big launches should always be the result of meticulous market studies. Machine learning and AI can be incredibly helpful in guiding you to the right decision here too, so don’t disregard the opportunities that lie in this area. Even better, if you can integrate this technology into your regular workflow, this can be a complete game-changer. Make sure that you have everything that will be sought out by the press and customers ready and prepared well in advance. From press release texts, to the product’s website, you must not only prepare all assets well in advance, but also double check them to ensure that everything is in a perfect condition before hitting the big button. This can be challenging when you’re working with a design that keeps changing all the time before its release, but as long as you’ve teamed up with a professional studio, this should not be so problematic in the long run. Some design agencies will specialize in a range of services, so you may be able to get their assistance with a number of your materials. An example of this can be seen through Pelling Design who are a web and graphic design agency in Farnham, Surrey. Their services include web design, graphic design, digital print, branding and more. If you choose an agency such as this one, you can ensure your branding stays consistent and inline with your image. Just make sure you communicate your ideas and intentions clearly, and if you notice any issues with the way the design is headed, communicate them early on instead of leaving them for the next meeting (or however your relationship is structured). It can end up very costly to change a major part of the design so late into its production. 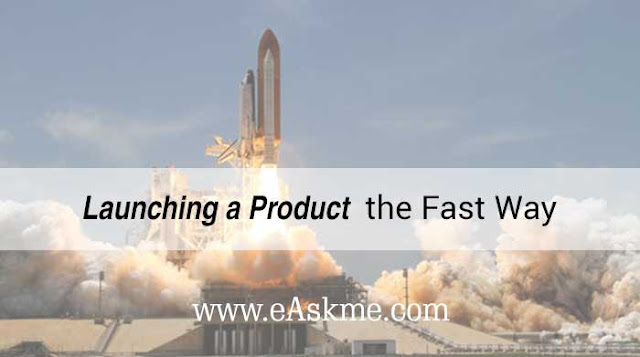 The initial launch is one thing, but you’ll also want to make sure that you can keep your product in the spotlight after it’s been on the market for a while. Social media campaigns are a great way to get a nice boost to your market performance with a relatively small investment, but if you want to push really hard, you should develop a more precisely targeted campaign that spans over several weeks or even months and covers multiple fronts. The Internet makes it very easy to promote a product these days, and ensure that it’s exposed to as many people as possible that might potentially show some interest in it, but it can take some trial and error to use those tools properly and ensure that you’re not wasting your money. As long as you have a good partner here though, it shouldn’t be a problematic part of your product’s development. In fact, for some people, this is actually one of the best times, as it allows them to put various modern technologies to good use. Think about how you’re going to care for your customers in the long run as well. This might seem like a straightforward ordeal, but you’d be surprised how many companies make their major launches with very little consideration for their long-term support. This can make or break a product in the eyes of savvy consumers, and for a good reason – nobody wants to buy something that will become useless once it breaks down or suffers a minor malfunction. Investing in a proper support center can make a huge difference, although it can also be quite costly depending on the specific type of product you’re working with. But having at least some basic level of support is pretty much mandatory. There are numerous details that you’ll have to cover before launching a product, but these are the most important points to consider if you want to get something out the door as fast as possible. Once you’ve mastered these steps, iterating over your designs and bringing them to perfection should become quite easy, and you should eventually develop some skills in all those fields yourself, allowing you to handle those tasks at least partially.